Is it time to buy the "cable"? 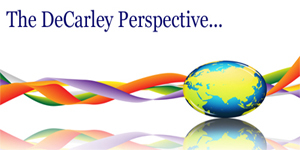 This newsletter was emailed to DeCarley Trading clients on September 19th, 2011. Elevated inflation and "never-ending" quantitative easing by the Bank of England have triggered a 10 cent slide in the price of the British Pound in Dollar terms. The December Pound future peaked in mid August just under $1.66 and found a low in today's session just over $1.56. According to historical stats and seasonal tendencies, this slide probably shouldn't happened but now that it has we feel like it could be an opportunity for the bulls. We are well aware that the UK economy is in the dumps and central bankers will be reluctant to raise rates anytime soon. After all, second quarter GDP was only marginally positive and the unemployment rate is hovering near 8%. However, the Pound has suffered at the hands of possible European default contagion despite the fact they aren't officially part of the Euro and we think the market will eventually cut them some slack simply because they aren't obligated to "bail" EU members out. Also, as we all know...there comes a point in time in which the selling has been so swift and so relentless that it simply dries up. As they say, if all of the sellers are in... there is nobody else to pressure prices. We can't rule out a dramatic probe lower to the mid $1.55 area, but overall we like the upside. Although we tend to prefer short option trades, there just doesn't seem to be enough premium to make it worthwhile (although this might change in the coming days). In this instance, a better angle might be to simply begin a scale trade using E-micro futures (symbol M6Bz1), or simply buying a cheap lottery ticket call and hoping the rebound is as sharp as the decline. We prefer the E-micro strategy, but if you would rather buy an option...we like anything in November with a strike of 162 or a bit higher (preferably 163) or in December with a strike of 166 or higher.